Creating habits that stick is not as easy and instant as we’d like it to be. Just imagine how awesome it would be if we could just download a set of skills in a Matrix-like fashion and become masters of kung fu in a matter of minutes. But no, nobody gets it that easy. Sure, it’s true that we have already developed technology that can help us accelerate learning, but let’s talk about the process itself a bit first. It’s very likely that you’ve set your mind on making at least one change to your lifestyle. Whether it’s getting up early, becoming healthier and exercising more, or reading more about how to start a business – it will take great motivation and consistency in action to make a goal like that come true. Changes are hard, and in a frantically-paced world they are even harder to implement. You start with great motivation and confidence. A few days or weeks later, the temptations become stronger and it becomes harder to combat our brain’s automation system, which aims to flight the discomfort rather than fight it. Yeah, change can be tough. But thanks to a brain’s adaptive quality – neuroplasticity – we are able to change these neuronal patterns and create and strengthen new ones. Rewiring our brain requires behavior repetition, right and stable cues, and rewards. Conscious effort, intention, and commitment play huge roles in our success, and your environment and people surrounding you can either work for or against you. By creating a strong sense of purpose and sharing it with others, you stack the odds in your favor. You have to communicate why it’s important for you to make a certain change and create a supportive environment. Making changes will require you to learn new things, because you can’t work on something new with the old tools you’ve got. Reading more about the subject or taking a course will give you a sense of progress. And by being able to answer questions about the change in an intelligent and well-informed way will help you take the matter seriously. It’ll also help you cope with inevitable what’s-the-point moments when you want to just quit, as you’ll be able to remind yourself about the long-term benefits of building or breaking a certain habit. You need to make it as easy for yourself as possible in order to follow through. The effort you’d need to switch from pizza to wheatgrass shots is just unimaginable and your plan to lead a healthier lifestyle would probably fall through the very next day. Instead, focus on small but constant wins and start, for instance, by finding a healthier version of your favorite foods. So start by setting one or a couple of goals that are easy to meet. It feels less intimidating and more manageable, and your results become stronger and more feasible. Whatever habit you’re trying to change, the more fun you have while changing your behaviours, the better chances you have of actually reaching your goals. Another important thing when you talk about the positive changes is not talking about it from the perspective of things you can no longer do. What you should do is point out how these changes are helping you become a better version of yourself. Accept and honor the struggle, and try to have fun along the way. How can technology and apps help us with creating better habits? Today we use tech and science to back up all our activities, and becoming a better you is not the exception. Remember the Matrix example? Well, there is the next best thing to it. 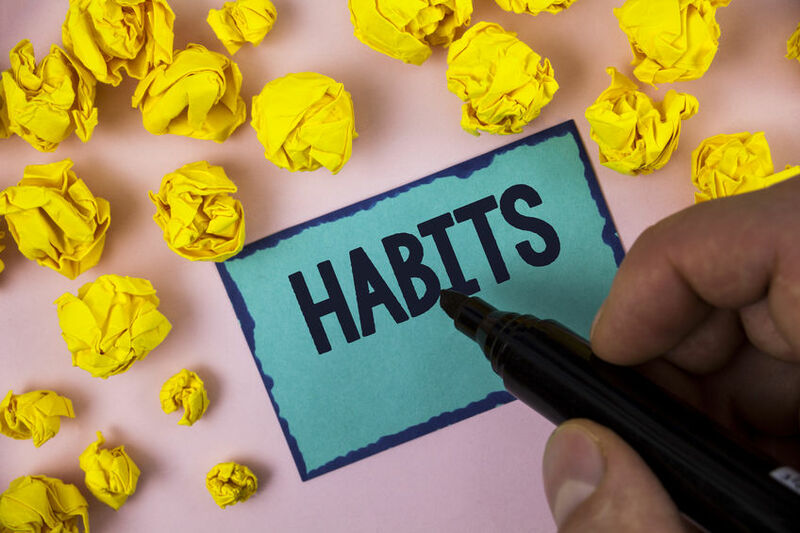 It’s called Better Habits and according to users’ reviews, it can help you change your life and habits for the better. This APPears to be so much more than a standard goal tracking app. The fact that it’s built based on the most recent scientific research in behavioral psychology and habit creation is well-emphasized. It does not offer “quick hacks” that bring fast results. Instead, it provides honest feedback and acknowledges all the challenges that come with forming a habit. And what’s great about it is that you can find actual resources on the website that support the DNA of this habit app. Better Habits is the next best thing for learning new things in a Matrix-like fashion. It also skillfully uses the .ME domain to personalize the experience of acquiring good habits because it enables the user to identify with the apps main goal – becoming a better ME. The name directly appeals to the users by creating a call to action out of the app’s name. In other words, our habits develop and grow if we give them the right amount of attention. The Better Habit app copies this process using study-backed algorithms. Performing reps grows your progress bar, and missing reps causes it to degrade. As the users say, this system holds and keeps you accountable. The app embraces the principle that more difficult activities take longer to become habits. That’s why the app also allows the user to select the level of difficulty for each habit they’re working on creating. A higher level means that you’ll need to complete more reps in order to form the habit. By performing reps consecutively, you form streaks. The idea is simple: you compete against yourself and try to beat your best streak which actually contributes to the extent of your progress. The app does not offer “quick hacks” that bring fast results. Instead, it provides honest feedback and acknowledges all the challenges that come with forming a habit. Another helpful visual stimulus the app provides is the number of attempts represented with small circles that grow around the rep button. It’s absolutely normal to fail, and being able to see your attempts shows you how hard you’ve worked to get there and how close you are to reaching your goals. You can also schedule the days you want to engage in your habit-forming activities. Let’s say that you don’t want to work on your habits on certain days during the week. You don’t get penalized for not completing the reps on those days, but you get “extra credit” if you do. Even though failing an attempt and breaking a long streak might look like a failure, they actually aren’t. The app sees the work as necessary steps in the process of forming habits. The ability to see the overall progress graph helps you look at the big picture of your progress and focus on the achievements that really matter. Also, to keep you on the right track, the Better Habits app allows users a maximum of three active habits at a time. This helps you take a focused and realistic approach to this endeavor. However, it doesn’t mean that you can only have three habits in the app. If you select more, they are queued in your habits list and can become active once you’ve accomplished your first three goals. That’s why combining multiple actions into one habit is a great way of approaching it. For instance, you can create a morning routine habit by combining activities like brushing your teeth, meditating and making breakfast, all into one. Once again, creating long-lasting habits is a complex process that requires constant and conscious effort, intention, and commitment. And by using the Better Habits app you help yourself create a supportive environment to execute on your dreams.